At Core Business Solutions, our expert consultants help small businesses innovate and simplify the implementation of management systems to achieve ISO and similar certifications. We provide online and onsite services to our customers to learn, grow, and succeed. And we do it with a smile because we have built a business we believe in as much as you believe in yours. American owned and operated, we are committed to strengthening and improving America’s small businesses. If you are searching for a simplified and expert-guided approach to ISO compliance, you’ve come to the right place. If you told our founders, Scott and Mike Dawson, at the beginning of their careers that they would develop a system-changing quality company, they would have told you you were crazy. We are a driven group — driven to do our jobs well, and driven by care for others. At Core Business Solutions, we’re a family, and as our customer, you become part of it. We'll be on your side. We’re a group of innovators and visionaries. We’re life-giving, smile-seeking, balance-focused people, and we have found our way of helping others through our work. Drew is a people person, through and through. He’s very good at managing our sales team in addition to taking care of his own sales territory. He understands the complexities of running a business and worked on the Registrar/Certification Body side of the business for several years prior to working for us. His 20-year background in sales, administration, and manufacturing help him understand our customers’ needs and develop products and services that meet those needs. Drew is based in Ohio and travels throughout the United States as needed. He’s a hard worker, so don’t be surprised what time of day you’ll hear from him. When he’s not working, he enjoys spending time with his wife and 2 daughters. 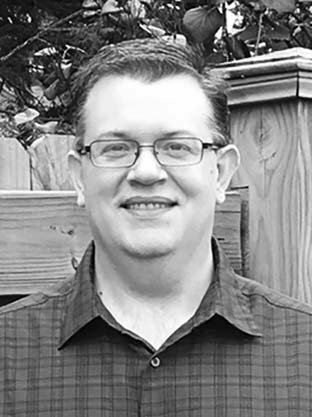 Paul has over 20 years of industry experience, much with small businesses, and can identify with prospective customers seeking ISO certification. He’s originally from Indiana but now resides in Pennsylvania and works out of our Headquarters in Lewisburg, PA. Paul’s focus is on the Western portion of the United States. He’s a great listener and cares about helping customers succeed and grow their businesses through achieving certification. He brings energy and enthusiasm to every conversation. He loves to spend time with his wife and 3 kids and also follows sports and enjoys making furniture out of recycled materials. If he was born on the west coast, we’re sure he’d be a surfer! 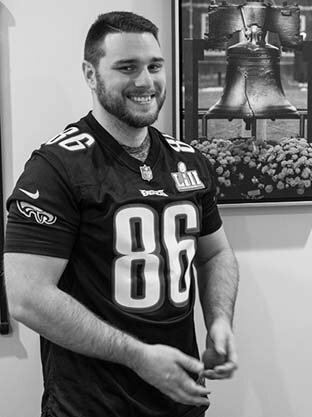 Kevin has been on the sales side of business since he graduated from College in Pennsylvania. He works out of our Headquarters in Lewisburg, PA and travels the east coast regularly. He is an avid Philadelphia sports fan, if you’ve ever talked to him, you would know. In his spare time, he spends time with his family, working out and coaching youth wrestling. He knows how to determine your needs and providing the correct products and services to meet your needs as cost-efficiently as possible. He’s fast, so it’s good he works the east coast. When you call Core Business Solutions, you’re most likely going to hit Kara first! That’s a good thing for you because Kara always finds a way to do the right thing for you in the most efficient way possible. If she can’t help you on the spot, she’ll follow up promptly with a helpful answer to your question or need. She supports our sales consultants and our VP of sales and ensures that the work being done behind the scenes will give you an exceptional experience. On a personal note: A devoted mom to her three kiddos, Kara spends her time away from the office exploring her creative side in her artistic pursuits. 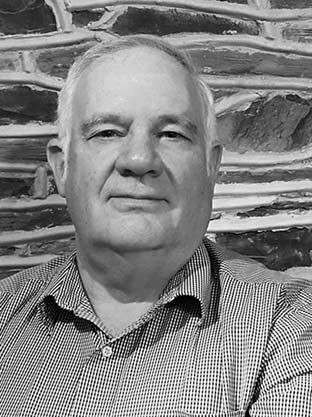 Bruce is an experienced quality systems leader with considerable experience in business management systems implementation and sustainment. He is a certified Quality Auditor and Lean Six Sigma Black Belt, and some of the standards he has worked with are ISO 9001, ISO 14001, and TS 16949. 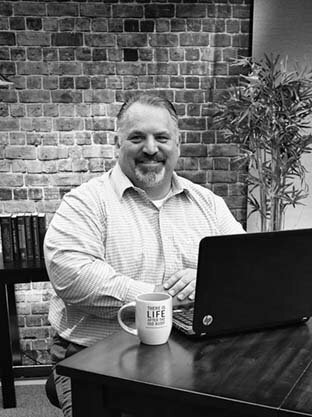 Bruce has worked in a variety of manufacturing settings, including automotive, motor yachts, medical device, and armored protective equipment, and can easily adapt his experiences to help a variety of businesses. When Bruce is not consulting, he enjoys family fun, fishing, traveling, and playing and building guitars. There is no question Bruce will help get you where you need to be! Joe has been involved with Quality Management Systems for over 15 years. As a previous quality manager for a certification body (registrar) specializing in the aerospace industry, Joe is well-versed in the ISO 9001, AS9100, and AS9120 and ISO 45001 standards. He is also a certified Associate Auditor with Exemplar Global, as well as a Certified Quality Auditor (CQA) with the American Society for Quality (ASQ). When not working on his consulting projects, Joe enjoys camping and the outdoors in general. He is also an avid piano player, musician, and songwriter. Joe’s experience and background will provide a solid foundation to help your project succeed. 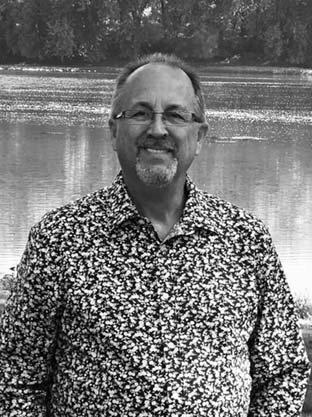 Pat is an adept quality professional with three decades of experience developing, maintaining and improving Quality Management Systems. His background is in high performance computing and railway technology in the areas of manufacturing, engineering, supply chain and customer service. He would love to help you develop a world class quality system if you so desire. Pat has certifications as an ISO 9001 auditor, Total Quality Management Professional, Lean Six Sigma Master Blackbelt, Project Management Professional and Corporate Trainer. When Pat isn’t consulting, he is spending time with his family, coaching or cheering on his boys. In his downtime, he enjoys reading books on leadership, relationships, and continuous improvement…sharpening the saw. He is approachable and has a discerning sense of humor that will make your journey enjoyable. 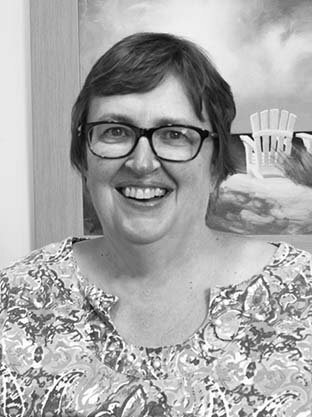 Suzanne has been a Quality Management System consultant for over 25 years. She’s trained in the following Standards: ISO 9001, AS9100, AS9120, ISO 14001 and OHSAS 18001 among others. She’s a member of the US Technical Advisory Group to ISO Technical Committees 302 and 176 and a senior member of American Society for Quality. She enjoys traveling and gourmet cooking while she is not working on her consulting projects. Suzanne has a great sense of humor and will keep your project moving while not “stressing you out” over the “to-do” list. 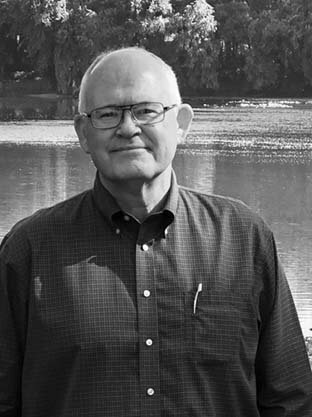 Jim is an accomplished Quality Assurance professional with over 20 years of experience in ISO 9001, AS9100, ISO 14001, and ISO 27001 in the aerospace, education, and manufacturing industries, to name a few. He has rich experience in building data-driven capabilities to improve product and service quality, delivery performance, organizational effectiveness, and compliance in mission-critical and safety-critical environments. When Jim is not consulting, he likes to spend his free time as a husband, grandfather, astronomer, educator, golfer, and quilter. Rest assured, Jim will get you certification-ready with ease. 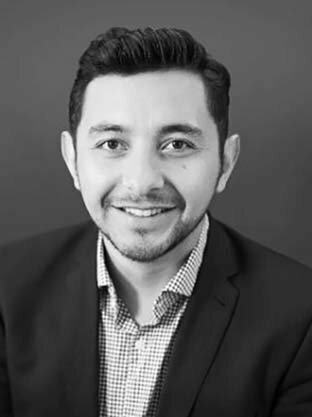 Julio’s experience as a successful consultant and director of quality and operations can be traced back to 2002. He has worked in many cities around the US and South America designing and implementing integrated management systems based on worldwide standards such as ISO 9001, TL 9000, ISO 140001, ISO 18001, AIB, R2 and Servsafe. He feels passionate about creating strategies to improve and re-engineer processes to boost companies’ profits and enhance business relationships. Julio has experience in a wide range of industries such as telecommunications, food packaging, chemical processes, electronics shredding & recycling, consulting, and security. Julio enjoys adventure and has participated in competitions involving mountain biking, climbing, and running. He also enjoys other sports such as paddle boarding and scuba diving. Marla is an accomplished Quality Assurance professional with over 20 years of manufacturing quality management, project management and training facilitation in the automotive, military defense and life sciences industries. She is a certified quality auditor, quality manager, ISO 9001:2015 Lead Auditor, Project Management Professional, configuration management specialist and possesses a top secret security clearance. Marla loves to travel and her goal is to set foot on every continent at some point in her life. Marla seems to always have a smile on her face, no matter what task is at hand. Watch out, that may rub off! Paula started her career as a Quality Engineer for U.S. Steel working both in quality and in operations. 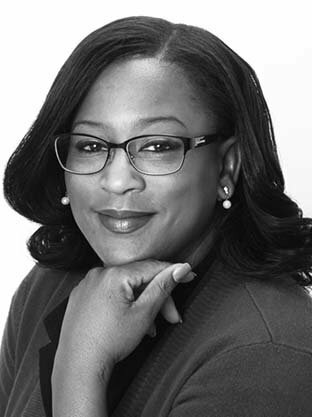 She has been involved in Quality Management Systems consulting for 20 years. She is trained in the following standards: ISO 9001:2015, AS9100, AS9120 and ISO14001. Her customers have included manufacturing industries, service providers, distributors and government services providers. Paula has been a panelist on the CBS monthly webinars discussing all aspects of implementation to various standards. In her spare time, she enjoys being with her family, walking her dog, instructing yoga classes and watching the performing arts. “Knowledge is of no value unless you put it into practice,” Paula likes to tap into this philosophy to bring out the best of each customer she works with. 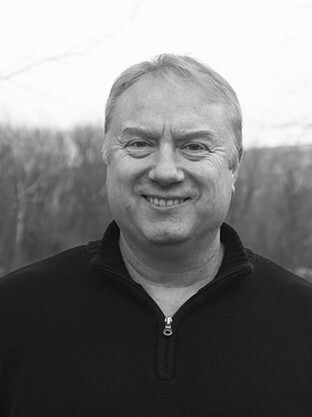 Rick has been a Quality Management System consultant for over 30 years. He’s trained in the following Standards: ISO 9001, AS9100, AS9120, ISO 14001 and OHSAS 18001 among others. Rick’s been a teacher, a software developer and a consultant for many years. His experience in diverse industries gives him the experience he needs to help customers succeed. Rick has a great sense of humor and enjoys teaching the benefits of a strong QMS. Brian spent the last 18 years of his career in law enforcement managing several prison industries. He’s implemented quality, environmental and occupational health and safety management systems. His experience as a Quality Manager, Factory Manager and Environmental Compliance Specialist has allowed him to develop management systems as well as apply them in practical applications. He’s also led several dozen process improvement projects using Lean Six Sigma methodologies. When he’s not consulting, you’ll find Brian in the woods. Ask him about his hand-crafted turkey calls. Beth has been supporting client goals and development for over 12 years, focusing on operational support for national and strategic clients. She will bring her attention to detail, organization, and mentoring experience to your program and is ready to help you tackle any hurdle you might face! She is truly excited to be partnering with you during your certification and is looking forward to getting started! 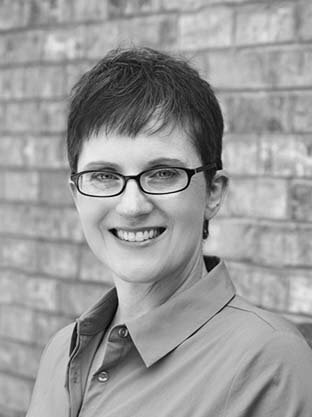 Renee has a background of almost 25 years of healthcare experience focusing in Sales and Marketing as well as Project Management. In 2013, Renee took on the challenge of working with an international commercial playground manufacturer, in which she functioned as both an Executive Assistant, Events and Training Coordinator and Project Manager for four years before joining the fantastic team at Core Business Solutions. 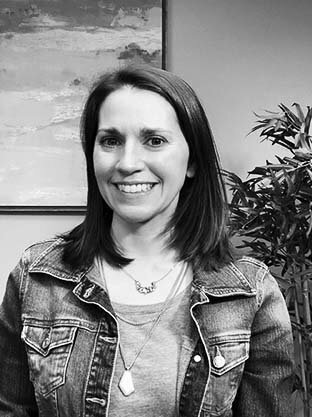 Renee enjoys supporting our consultants and assisting our customers in all facets of their journey to certification and looks forward to working with you as well! ISO Certification … SO WHAT IS THIS ALL ABOUT, EXACTLY? ISO certification is about your customer’s experience with your company. When you work to develop a program that is about more than checking the box, your customers will notice. We will set an example, chart a path, and show you the way. Our small business consultant programs use our CORE software to work with hundreds of companies annually to become certified, and plenty of our customers continue to use CORE as their own document control platform following certification. These “CORE ISO Values” prioritize everything we do in our company to help yours. We’re ISO 9001 certified ourselves because we believe these values work and we put them into practice. We believe small businesses can be successful by strengthening the “CORE”: how we plan, organize, and conduct daily operations. It drives sustainable improvement and long-term growth opportunities, allowing you to meet requirements in your industry, needs of your customers, and the goals of your company. To help us stay ahead, our company President, Scott Dawson, is an active member of the US TAG to ISO/TC 176 (the committee that develops and revises the ISO 9001 standard), giving him a unique perspective on the upcoming changes to the standard. This helps us to be proactive in our development of new programs to help small businesses. Through innovation and constant improvement, we will continue to set the bar for standards compliance. Over time, new industries will adopt ISO 9001 as their quality standard. Related standards for aerospace, environmental, health and safety, information security, medical devices, automotive, and telecommunications are following suit, and our commitment will continue to be to assist small companies to achieve these certifications, regardless of industry. We’ll do everything we can do to help you be successful and demonstrate measurable improvements that your customers notice and appreciate. Because ISO is more than a piece of paper in a dusty frame – it’s a business-changing system you can proud of. The CORE ISO Compliance Platform® is a web-based document control system that, with the guidance of our expert consultants, online training program, and resource library, will give you all the tools needed to establish and maintain compliance. Through the use of consulting, training, auditing and technology, Core Business Solutions simplifies preparations, increases the business benefits achieved through certification, and reduces the overall cost of ownership as certification is maintained. And moreover, we empower companies to be ISO experts through our process. It’ll take 2-4 months for Core to help you prepare ahead of a registrar-lead audit. By implementing an ISO 9001 Certified Quality Management System, and then proving to an auditor that it works, you’ll achieve ISO certification* for your small business. *ISO 9001 Certification is a foundational international standard for Quality, ensuring that your business delivers a consistent level of quality by having well-defined processes and procedures. ISO 9001 defines requirements for companies who want to ensure that their products and services consistently meet customer requirements and continually improve their business processes and is widely used as a supply-chain requirement. Want to learn more about ISO certification? Visit our ISO Certification page or call us at 866.354.0300.